We digress on the implications of recent claims of superluminal neutrino propagation. No matter how we turn it around such behaviour is very odd and sits uncomfortably even within “far-fetched” theories. In the context of non-linear realizations of the Lorentz group (where superluminal misbehaviour is run of the mill) one has to accept rather contrived constructions to predict superluminal properties for the neutrino. The simplest explanation is to require that at least one of the mass states be tachyonic. We show that due to neutrino mixing, the flavor energy does not suffer from the usual runaway pathologies of tachyons. For non-tachyonic mass states the theories become more speculative. A neutrino specific dispersion relation is exhibited, rendering the amplitude of the effect reasonable for a standard Planck energy. This uses the fact that the beam energy is close to the geometrical average of the neutrino and Planck mass; or, seen in another way, the beam energy is unexceptional but its gamma factor is very large. A dispersion relation crossing over from a low energy bradyonic branch to a high energy tachyonic one is also considered. We comment on consistency with SN 1987A within these models. No particle can claim to have caused as much havoc in modern physics as the neutrino. Ever since its proposal by Pauli in 1930, the neutrino has been the source of relentless mischief, with its parity violating properties supplying the prime example. The propensity of neutrino flavors to oscillate comes a close second. Neutrino oscillations have now evolved from the wild idea first suggested by Pontecorvo [1-3] into a respectable fact. Against this historical background one should perhaps not be overly surprised by recent claims that superluminal speeds have been achieved by neutrinos . As with any experimental result, these claims should be taken with a macroscopic grain of salt. The potential for uncharted systematic errors can never be overemphasized [5,6]. Nonetheless, theorists are easily excitable creatures who don’t require much prompting before going down the “what if” alley [7,8]. The purpose of this paper is to follow this time honored tradition, exploring the implications of the possible superluminal nature of the neutrino for the general theory of oscillations, and also for theories proposing faster than light propagation in cosmology [9-11]. It is undeniable that the alleged neutrino superluminal behaviour sits uncomfortably in our theoretical constructions, even those tailored to accommodate the strangest behaviour. Faster than light propagation has been envisaged in the context of varying speed of light theories, in particular those where the speed of light is energy dependent [12-15]. The latter may be realized in a variety of ways, for example via a deformation of the usual dispersion relations, then made invariant by adopting a nonlinear representation of the Lorentz group . This approach was actually applied to neutrinos a few years back [17,18], where it was shown that with minimal assumptions, and without assuming tachyonic behaviour for the mass states, it is possible for the flavor states to display features peculiar to tachyons, e.g. regarding the end point of beta decay (see, e.g. ). However, it was stressed that in such theories the neutrino would always remain slower than light. In this paper we identify the assumptions that must be broken for superluminal behaviour to be unleashed. We start with the construction of [17,18], but then consider more general theories as well. A measure of contrived success is achieved. The quantum field theory of neutrinos has been the subject of some debate. We do not want to wed our considerations to this debate, but since one of our models results from this discussion we briefly review the issues at stake. It was shown in  that it is possible to define a Hilbert space of flavor states, with a well defined vacuum state and creation and annihilation operators. Comparison with the usual treatment shows that this approach amounts to a different choice of vacuum. The matter is far from pedantic and corrections to the usual formula for neutrino oscillations arise . Flavor states constructed in this way are eigenstates of the flavor charge and the momentum operators but are not eigenstates of the Hamiltonian [21-26]. Nonetheless one can compute the expectation value of the Hamiltonian on the flavor states and define from it dispersion relations. These dispersion relations are not the usual hyperbolic ones and fall within the remit of deformed special relativity, as explained in . One may then wonder under what circumstances these theories could accommodate superluminal neutrino speeds, in line with the theories considered in [12-16]. Similar expressions, but with , apply to flavor . A number of corrections arise from a more careful treatment , but they do not qualitatively change the rest of our discussion. Non-tachyonic mass states therefore ensure nontachyonic behavior for the flavor states in the relativistic regime. Regrettably (or perhaps not) the tachyons found in  only behave like tachyons at low energies, and even then within a limited scope. 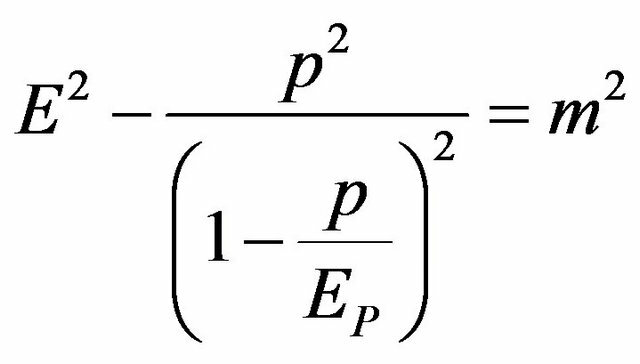 The implication is that some assumption in this very minimal model must be dropped if we want to accommodate superluminal speeds. This result is not very surprising. With the very conventional assumptions we have made one may take the view that the only states with a well defined (phase or group) speed are the mass eigenstates. If none of these are tachyonic then no superluminal behavior can be expected. As with standard particles, or “bradyons”, there is of course a negative energy branch, but there is a gap between the two preventing runaway instabilities. Given that interactions are mediated via flavor states, we can argue that it is their dispersion relations, and not those of the mass eigenstates, which are relevant for stability discussions. Therefore an unsavory property of tachyons seems to have been removed from the problem. This is an interesting twist on the tachyonic neutrinos of [27,28]. and the argument still carries through. Then, at low energies everything we have said still stands, but at high energies we fail to witness the transition from mass (assuming condition (15)) to mass . Quite the opposite: the mass remains at high energies. Therefore, as in , the minimal energy of flavor is given by (16), and is achieved with . But then we must cross-over from the bradyonic to the tachyonic quadrant. As the energy increases, the neutrino goes from to break the speed of light barrier at , reaching a maximal speed before slowing down to from above, as the energy goes to infinity. As in the cases discussed above, no instabilities are present, but obviously superluminal behavior is obtained. 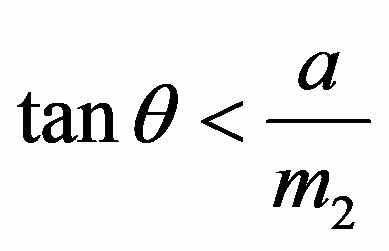 Once we have accepted this sort of dispersion relation we could postulate something similar for the mass eigenstates and keep the standard theory of oscillations. Note that with the assumption that the flavor states diagonalize the eigenstates at high energies we would predict no oscillations. For a standard neutrino scenario the last term is negligible and so, looking at the first term, we’d need the Planck mass to be of order (rather than the conventional ) to explain the observations. Even then we’d need to explain why the effect hadn’t been observed in other particles, well explored in this energy range. The neutrino would have to be unique in its probe of this dispersion relation. Again the first term is negligible in the context of  while the second explains the observation. The crucial aspect in this argument is that the energy in the neutrino beam misses the geometrical average of the neutrino mass scale (say ) and the standard Planck scale by a factor of order : precisely the observed fractional superluminal propagation speed. We may not want to indulge in numerology, but we can make use of it. In summary we have presented a number of arguments, from the point of view of varying speed of light theories, which could lead to neutrino superluminal behavior. In all honesty none of these are very palatable. Appealing to at least a single tachyon eigenstate might be the simplest way out. The highlight of this paper was the discovery that in such a set up, due to neutrino mixing, the flavor eigenstates need not suffer from the instabilities peculiar to tachyons, provided they are interpreted as non-linear representations of the Lorentz group and masses and mixing angles are chosen carefully. Beyond that our paper delved into more speculative ideas (by now, however, the neutrino is expected to be crazy; see e.g. [29-34]). We may force the flavor dispersion relations we have found well beyond existing theory. In the most extreme case this would entail a cross-over from the bradyonic branch at low energies to the tachyonic branch at high energies. Then, the neutrino (either a flavor or a mass state, both options are up for grabs) starts off subluminal at low energies, but then, as its energy increases, “breaks the speed of light” to reach a maximal speed at a given finite energy. 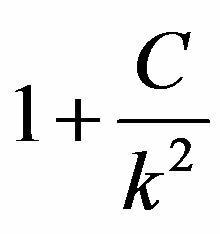 Its speed then decreases with energy, approaching the speed of light from above, as the energy goes to infinity, like any other good tachyon. As long as this is interpreted within the framework of non-linear representations of the Lorentz group, causality violations are not necessarily implied, since one should employ the associated non-linear Lorentz transformations [35,36]. It is a far-fetched idea, but extreme circumstances call for extreme measures. We also showed how invoking Planck scale physics (and its habit of speeding up light) would imply a ridiculously low Planck energy scale, as well as the embarrassing question: why the neutrino and not other particles? We suggested a possible solution to the first problem by simply accepting the second. With a set of dispersion relations specifically tailored for the neutrino, we were able to prove that the observed effect could be predicted with a standard Planck scale. Central to the argument is the fact that whilst the energy of the neutrino beam is unexceptional, its gamma factor is very large. 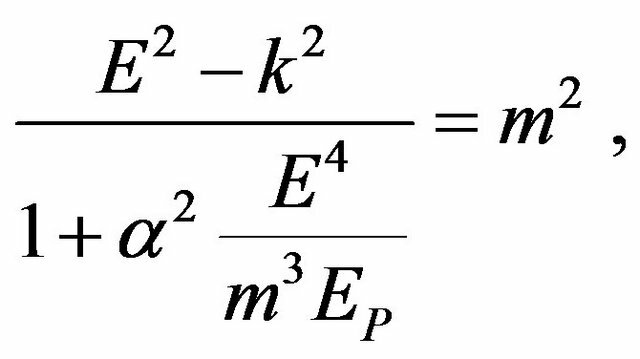 By putting the neutrino mass into the expression for the deformed dispersion relations we can then put this fact to good use and predict a velocity above the speed of light for the meagre , whilst keeping the Planck scale . Therefore, even though the energy scales in OPERA are unexceptional, something is unique. Had the neutrino been well behaved, this would have been the closest we ever got to the speed of light, without actually sitting on it. Instead the neutrino broke the speed of light barrier. In a separate paper, we propose a theory building on this fact. The basic idea is that one may extend the non-linear representations of the Lorentz group developed in [15,16] with a construction where the angle in Lorentz transformations is replaced by a new , saturating at a given gamma factor. We stress that, since the Lorentz group is non-compact, its experimental testing is necessarily open-ended. An obvious concern (for theorists and experimentalists alike) is consistency with other observations, namely SN1987A (e.g. [8,38]). Our theoretical considerations are very much at the level of toy models, so we cannot offer a detailed examination. Nonetheless we close by presenting some thoughts. Face value our first model (a tachyonic mass state) contradicts SN1987A. If one adopts the view that the mass states, rather than the flavor states, are what “moves” independently in vacuum, and postulates that one of them is tachyonic, then there should have been a tachyonic signal from SN1987A arriving 3 - 4 years earlier. However, the matter is far from clear cut. Firstly, how sure are we that such a “premonitory” burst didn’t arrive? Then, assuming the experiments were up and running , could we arrange for a scenario where we could reasonably have missed this early burst? The answer hinges on a crucial detail. The SN1987A are mainly electron neutrinos whereas those at OPERA are muonic neutrinos. Suppose the mixing of the former with the tachyonic state is negligible, unlike the latter. Then some tachyonic signal from SN1987A would have arrived, but it could have been negligible. Even though there are muon and tauon neutrinos among the thermal neutrinos, these are a minority, and the signal arriving 3 or 4 years ahead could easily have passed unnoticed. The same argument can be adapted to our third model. Deformed dispersion relations should in principle apply to mass states (although the idea may be combined with a stronger “individuality” for flavors). One could therefore design a theory (either with very different masses, or with different for the different mass states) where the proposed mechanism for speeding up neutrinos is much stronger for one mass state than the others. Requiring a low mixing with electron neutrinos would then suppress the faster than light signal from SN1987A. Some thermal muon and tauon neutrinos are produced (and most of the observed neutrinos come from this pool), but the statistics aren’t good enough to rule out a tachyonic signal from them. At any rate, we stress that the argument on thermal neutrinos results from computer simulations, not observations, and these would have to be revised, for consistency, should deformed dispersion relation affect at least one state. As for our second model, it actually predicts that tachyonic behaviour should not be seen in the SN1987A. All that needs to be done is for the cross-over from bradyonic to tachyonic branch to happen above 10 MeV. This is similar in spirit to one of the proposals in . The most conservative explanation of OPERA, of course, remains to dismiss the the results as an “experimental error”, the ultimate bail out of the theorist. At the end of the day it is up to experimentalists to sort out their wares. We wait for an independent experiment with bated breath. I’d like to thank J. Halliwell, L. Lyons, J. Sedgbeer and D. Wark for discussions. B. Pontecorvo, “Mesonium and Anti-Mesonium,” Sovietic Journal of Experimental and Theoretical Physics, Vol. 33, 1957, pp. 549-551. B. Pontecorvo, “Electron and Muon Neutrino,” Sovietic Journal of Experimental and Theoretical Physics, Vol. 6, 1958, pp. 429-439. T. Adam, et al., “Measurement of the Neutrino Velocity with the OPERA Detector in the CNGS Beam, OPERA Collaboration,” arXiv:1109.4897. W. Winter, “Constraints on the Interpretation of the Superluminal Motion of Neutrinos at OPERA,” arXiv: 1110.0424. C. Contaldi, “The OPERA Neutrino Velocity Result and the Synchronisation of Clocks,” arXiv:1109.6160. G. Amelino-Camelia, et al., “OPERA-Reassessing Data on the Energy Dependence of the Speed of Neutrinos,” International Journal of Modern Physics, Vol. 20, 2011, pp. 2623-2640. G. Cacciapaglia, A. Deandrea and L. Panizzi, “Superluminal Neutrinos in Long Baseline Experiments and SN1987a,” arXiv:1109.4980. J. Dent, et al., “Neutrino Time Travel,” arXiv:0710.2524. N. Mavromatos, “CPT Violation and Decoherence in Quantum Gravity,” Lecture Notes in Physics, Vol. 669, 2005, pp. 245-320. D. Fargion, “Inconsistence of Super-Luminal Cern-Opera Neutrino Speed with Observed SN1987A Burst and Neutrino Mixing for Any Imaginary Neutrino Mass,” arXiv: 1109.5368. 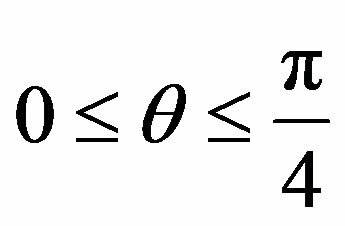 1As shown in that reference, changing the powers in the dispersion relations may soften this problem, but never repeals it.